For many, 2017 will be a year remembered for its dreadful atrocities and divisive political narratives which seeped into every aspect of our daily lives. Thank goodness at this time of year we can look forward to many delightful Christmas traditions, finely wrapped presents, delicious food, copious amounts of drink and the best of all pantomime. This ever popular favourite gives us the opportunity, for a few hours, to leave the real world at the theatre doors and immerse ourselves in a land of fantasy with family, friends and loved ones. Fantasyland for me this year was Neverland, where I joined Peter Pan at Theatre Royal Plymouth for a high-flying adventure of pure excitement, laughs and wonderment. There was a real hum of anticipation in the auditorium whilst the adults and children eagerly awaited the start of the adventure. Against a backdrop of lavish scenery and superb lighting, the stage and auditorium were soon filled with a vibrant mixture of bright colours and loud music, which was an early hint of the magic to come. Joe Sleight as Peter Pan soon had the audience engaged as he flew across the stage, as did Isobel Hathaway as Tinkerbell and Mikaela Newton as Wendy, the jealous tension between the latter soon becoming apparent. 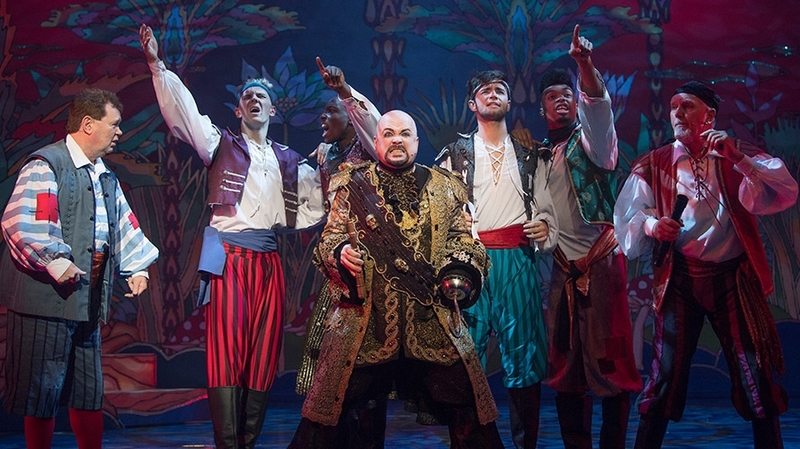 Steve McFadden as the scheming Captain Hook soon had the audience booing and shouting as he became locked in mortal combat with Peter Pan. Rachel Spry as Mimi the Magical Mermaid was in great voice belting out some strong vocals. It was a great night for the two local Plymouth boys, Noah Crump as John Darling and James Ferrier as Michael Darling who both took full advantage of the opportunity to perform in their home city. There were some well choreographed dance routines and impressive high-flying antics but the real show stopper was Tick-Tock the crocodile whose commanding presence noisily filled the stage making children and adults jump back their seats in shocked amazement. The high – flying entertainment and slapstick comedy only paused briefly whilst a quartet of children joined Smee on stage to sing a song helped along with some lively audience participation, a moment the children and some of the adults will remember I’m sure. If you are looking for a tonic over the festive season, join the crew of the Jolly Roger, escape to Neverland and spend a few hours immersed in a land of sheer spectacle with music, dance and laughs a plenty.